DETROIT — For years, Tesla has boasted that its cars and SUVs are safer than other vehicles on the roads, and CEO Elon Musk doubled down on the claims in a series of tweets this week. The electric vehicles are under intense scrutiny from federal investigators, who have been looking into post-crash battery fires and the performance of Tesla’s Autopilot semi-autonomous driving system. On Wednesday, they traveled to Utah to open another inquiry into a Tesla crash — their fourth this year — in which a Model S slammed into a firetruck that was stopped at a red light. THE FACTS: This is based on a Tesla analysis of U.S. fatal crashes per miles traveled in 2017. The company’s math is correct on the fatality rate involving all of the nation’s 272 million vehicles, about 150,000 of which are Teslas, according to sales estimates from Ward’s Automotive. But Tesla won’t say how many fatalities occurred in its vehicles or how many miles they were driven. We don’t know of any Tesla fatalities in 2017, but the numbers can vary widely from year to year. There have been at least three already this year and a check of 2016 NHTSA fatal crash data — the most recent year available — shows five deaths in Tesla vehicles. Statistically, experts say Musk’s tweet analysis isn’t valid. While Teslas could have a lower death rate, it may speak more about the demographics of Tesla drivers than it does about safety of the vehicles, says Ken Kolosh, manager of statistics for the National Safety Council. Expensive Teslas tend to be driven by middle-age affluent people who are less likely to get in a crash than younger people, Kolosh said. Also, Tesla drivers tend to live in urban areas and travel on roads with lower speeds, where fatality rates are lower, he said. Musk also is comparing a fleet of older, less-expensive vehicles to his newer and more costly models, Kolosh said. Most Teslas on the road are six years old or less. The average vehicle in the U.S. is 11.6 years old, according to IHS Markit. Older, less-expensive vehicles often aren’t maintained like newer ones and would have more mechanical problems. THE FACTS: It’s true that the driver in the Utah crash sustained minor injuries considering how fast her car was traveling. The same is true for a January freeway crash near Los Angeles in which the driver was not hurt. But not all Tesla crashes end the same way. 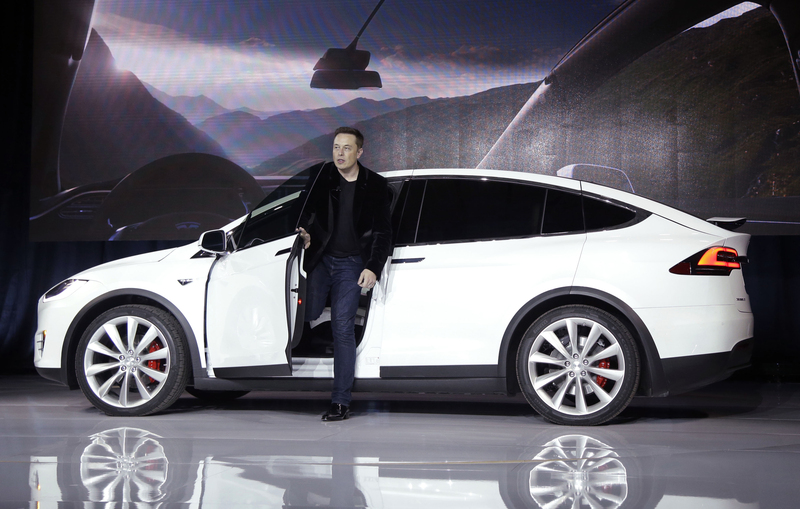 In March, the driver of a Tesla Model X was killed in California when his SUV hit a barrier while traveling at “freeway speed.” NHTSA and the National Transportation Safety Board are investigating that case, in which the Autopilot system was engaged. Autopilot was also engaged in the Utah crash, according to a summary of data from the car. THE FACTS: The government says it did not assess how effective Autopilot is at reducing crashes. It did mention a 40 percent reduction in crash rates after “Autosteer” was installed in Tesla vehicles, based on data provided by Tesla.